Few things are more important to your longevity than bone health and osteoporosis. 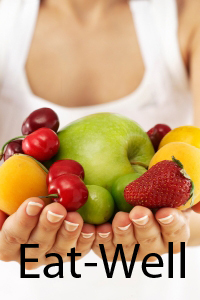 Your bones are living tissues that require adequate nutrition and exercise just as your muscular system does. Our skeleton consists of connecting bones that have a thick outer layer and a strong inner layer of supporting tissue, which resembles a honeycomb. Osteoporosis means part of this honeycomb become thin, which means it can no longer support the bone. Therefore fractures become more common and can be caused by even minor accidents, such as a small bump. These fragility fractures, as they are called, can affect any part of the skeleton, but are more common in the spine, hip and wrist. Hip fractures are especially dangerous and approximately 20% of people who break their hips will die within a year from related complications. Bones are made up of a protein called collagen, and minerals, including calcium. As mentioned above, our bones have a thick outer layer or cortical bone, supported by a strong mesh of supporting bone tissue or trabecular bone, resembling a honeycomb. Each bone is made up of a thick outer layer known as cortical bone and a strong inner mesh of rod shaped structures of fibrous bone, which resemble a honeycomb. Bone is a living matter that changes throughout our life. As bone cells age they are replaced by bone building cells in a process called bone turnover. In childhood, the bone building cells work faster, so bones grow stronger and gain density. During this period, it takes only two years for the skeleton to renew completely, whereas in adults this process takes between seven and ten years. Bone density increases until the mid 20s, after which the balance between bone loss and renewal remains stable for some years. But from around 35, bone starts losing density very gradually as part of the aging process. In women, menopause can speed up the process, leading to osteoporosis in a matter of years. In later life this can lead to an increase in broken bones and fractures. The strength of our bones as well as our height are dictated by our genes, but our life-style can also play a part. For example the more we save in our ‘bone bank ‘during our youth as well as the strategies mentioned above for later in life. From childhood to our early twenties is the time we can make the most important investment in the health and strength of our bones. 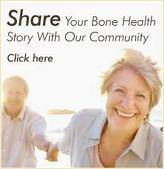 This will place us ahead in the years when bone loss occurs. Weight bearing exercises and a well balanced nutrition plan, which ensures adequate calcium intake, during the time our skeleton is growing can help our bodies resist the ravages of Osteoporosis in later life. As we get older we become more likely to break our bones, because bone density decreases, leaving the bones less resistant and more fragile. According to some surveys fractures are the number one cause of death in people over 65. We have stressed throughout this website that regular exercise and a balanced diet can help us avoid most of the problems associated with aging. This disease is no exception - unless we take counter-measures, bones become fragile, increasing the risk of fractures.